This landscaping contract by Dublin landscaper Kevin Baumann consisted of a front driveway and back garden. 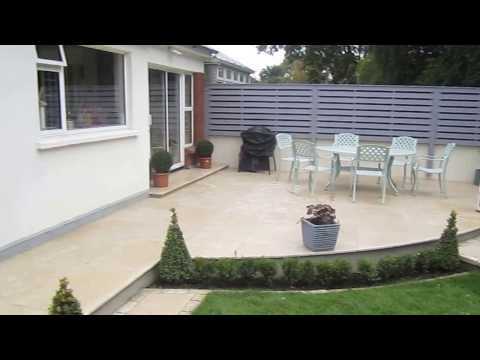 The project was and garden design was in Sandymount, Dublin. For the driveway we removed existing surface and replaced with ballylusk gravel. The beds and borders were created using a double edge of Chinese brown granite. 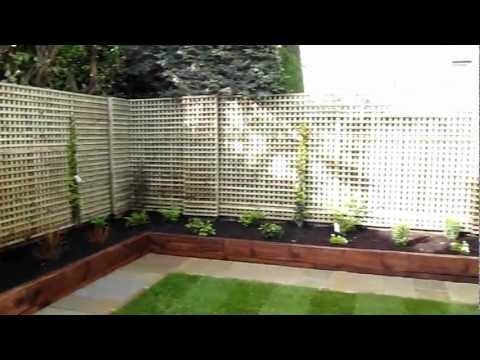 In keeping with the Victorian property we included a buxus hedge all around. Behind the hedge our team of landscapers planted a mixture of hardy shrubs and perennials. To the front of the house the landscapers planted 5 standard Privet. All beds were finished with geo-textile matting covered with 75 millimeter bark mulch layer to eradicate future weeding. 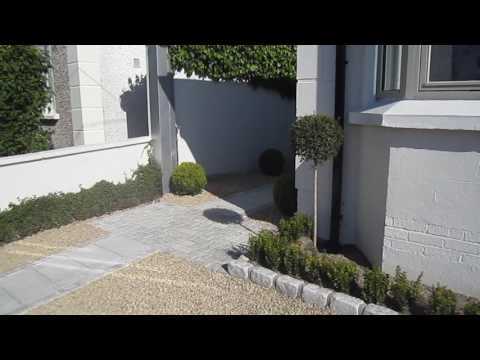 To frame the steps and main door we supplied two large black planters with buxus balls. A large semi circular apron was created using four inch brown Chinese granite cobbles at the entrance. For the back garden the landscapers started by removing unwanted shrubs as beds were quite congested. 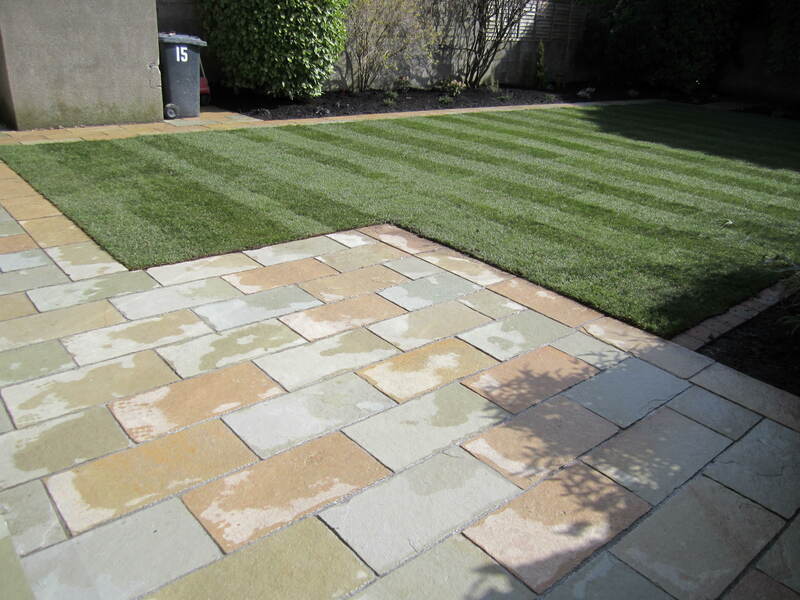 We then included mowing edge using four inch Indian sandstone cobbles. The existing patio was removed and replaced with circular Cota brown limestone circle and rectangular patio to the back. 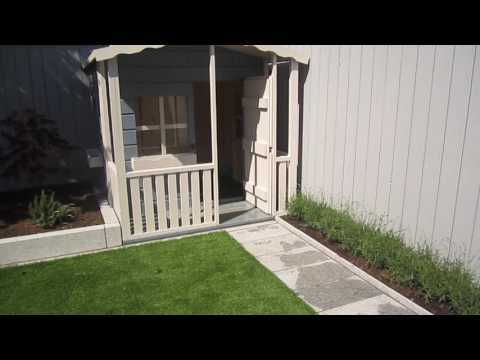 Above the rectangular patio we constructed a pergola. 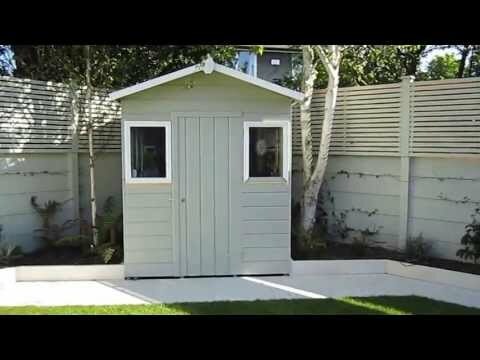 An 8×6 flat roofed Baumanns shed was included in the center of the west facing bed. We then planted suitable trees, shrubs, perennials and climbers within beds. All beds were then finished with geo-textile matting and 75 millimeter layer of bark mulch to eradicate future weeding. 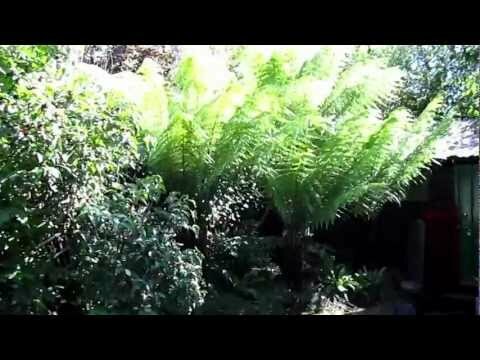 I have included before and walk around videos of the garden contract in progression. 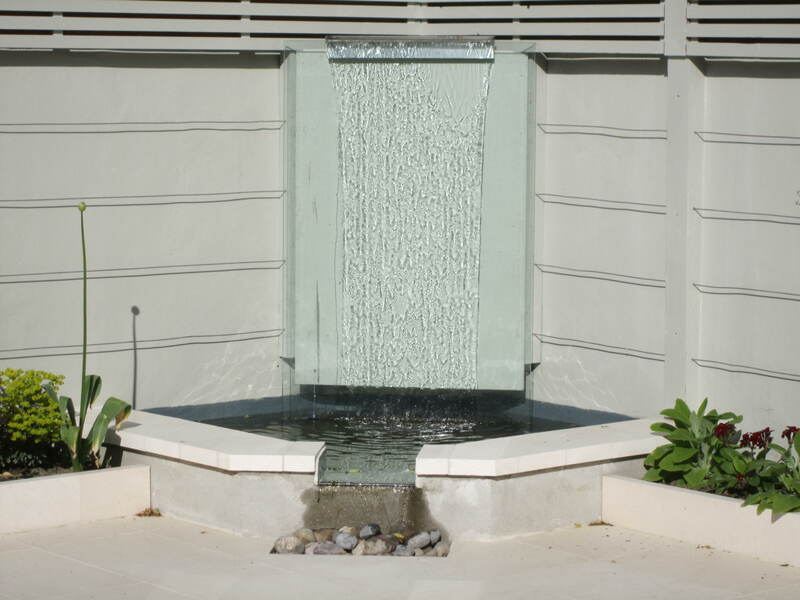 On completion of the contract the client was very happy with results. If you like what you see contact myself, Kevin Baumann on 086 8198444.